Father’s Day is just a week away! We have a busy week with school ending, Fathers day, and a couple of birthdays in there too. My man likes to grill and this time of year seems to be the kick off for the barbecue. 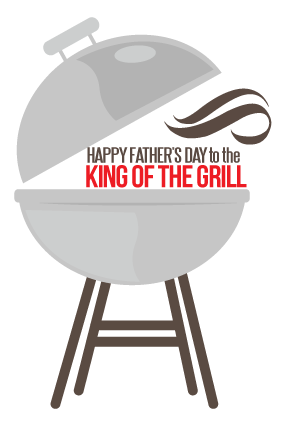 I know, I know….when you think of Father’s Day, grilling, sports and ties are always a part of it, right? I almost didn’t post this because I didn’t want to be cliche. But I thought it was too cute not to share. 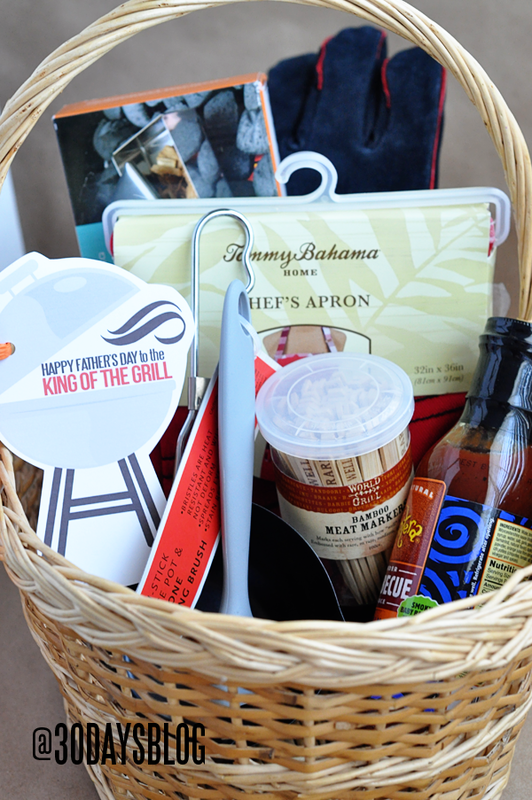 I gathered some fun items that most guys wouldn’t normally go out and get themselves- grilling gloves, meat markers, a sauce pot and brush, an apron, and barbecue sauce. Then I added a cute little printable tag- because…..why not? Print this Father’s Day tag out and cut around it. For 30days subscribers and personal use only. Thanks! 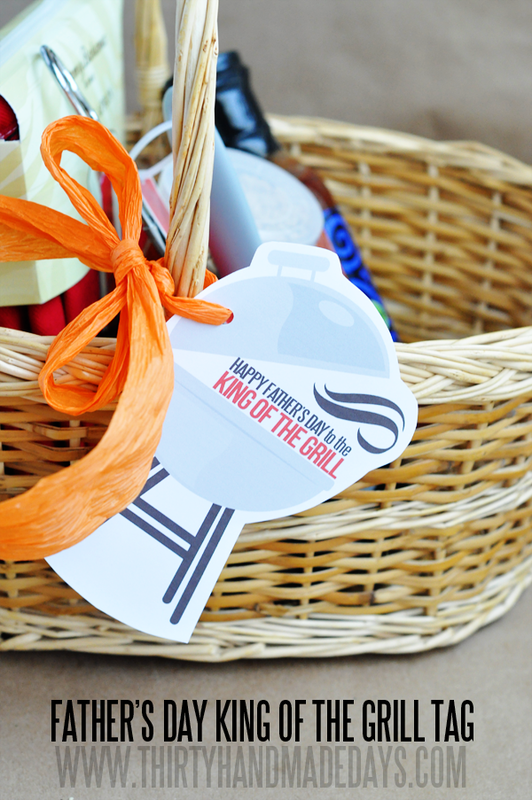 LOVE your idea of gifting usually overlooked grilling gifts and the tag is perfect!! This is so cute! Love the grill! Very cute and PERFECT for the gift I’m giving Grandpa for Father’s Day! (I might have to get some grilling stuff for my husband to- just to use this tag!) Thanks.